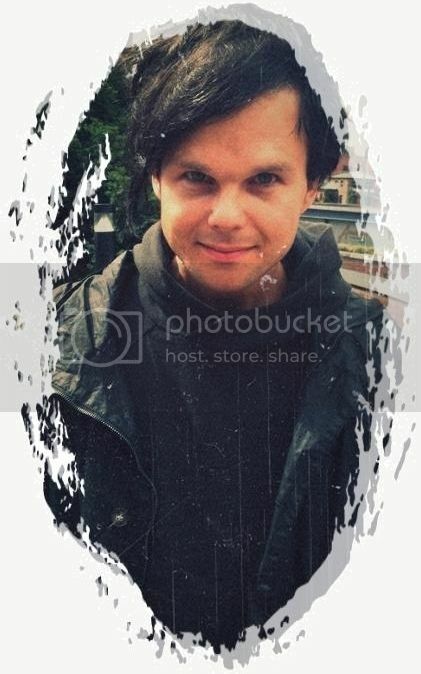 Wie auf The Rasmus Germany Facebook angekündigt war ich die letzten Wochenenden in Finnland unterwegs und habe mir ein paar Gigs der The Rasmus Finnland Tour angeschaut. Deshalb leider auch keine News die vergangenen Tage. The Rasmus live in Linz! Am 18.08.2012 spielten The Rasmus auf dem Linzer Krone Fest in Linz (Österreich). Der Auftritt war ein voller Erfolg, wie The Rasmus auch hinterher im Interview erzählten. Hier findet ihr alle Infos, Videos, Interviews und Fotos zum Auftritt. In der Krone Zeitung ist zudem ein 1-seitiges Interview mit The Rasmus erschienen. Lauri und Eero erzählen über den tollen Auftritt am Abend, ihre Fans, Österreich, Rituale, Freizeit und das Familienleben. Hier gibt es ein Bild. Danke an Princess Varis für das Bild. Copyright des Interviews liegt bei Krone Zeitung! Here you can find some informations about The Rasmus gig last saturday in Linz (Austria). Summery of the interview can be found below. After the gig in Linz Lauri and Eero had an interview. „The show was amazing“, Lauri and Eero told. Lauri: Thank you! It was amazing, everyone was singing our songs. Eero. Yes it was a great show. You can feel the wind and the drums on stage… great. Krone: People from other countries are here, just because of you. Lauri: Yes, our biggest fan I think is here as well. Eero: Yes, Cora is everywhere we play. Doesn´t matter where we are. Krone: What do you know about Austria? Lauri: The great food and a wonderful nature. Krone: Before your show you were very concentrated. Lauri: Yes, and on stage concentration turns into fire. Krone: Do you have a ritual before a gig? Lauri: Sometimes yes, sometimes no. But at least Eero do yoga before every gig (smile). Krone: How often do you do Yoga? Eero: Twice a day. It gives me energy. Krone: What have you did before the show? Eero: We were swimming with Stefanie Heinzmann (An artist at Linzer Krone Fest too). It was relaxing. Lauri: In summer we have only gigs at the weekends, so we have time for our families as well. My son is 4 years old. Eero: And my children are 6 and 8 years old. Krone: Do they know you´re famous? Krone: What have you told your children, when you started to Linz? Eero: Daddy is going to work, sweeties. Lauri: Yes, exactly (both laughs). We are working daddys. Copyright of the Interview belongs to Krone Zeitung! Summery of the interview can be found here. Lauri and Aki told that they were invited to play frisbee at the Donau. They did it one hour and really need a break now (laughs). Lauri told he had only one lesson german in his life, but he can say „Schnuckiputzi“. (Haven´t a translation for this word… a funny word for darling in german I would say 😀 ) He told, he say it three times a day ( 😀 ). Lauri thought about to build a house in austria… but they told him it´s really expensive… or at least to expensive for him (hehe). So he has to work more. You can use translations, but please link back to my site! Gestern hatten The Rasmus ihren Festivalauftakt in Moskau/ Russland auf dem Maxidrom Festival. The Rasmus haben ca. 75 Minuten gespielt. Die Setlist sah wie folgt aus. Einige Lieder sind mit YouTube verlinkt. Dort findet ihr die Songs in guter Qualität. Einige Fotos vom Auftritt gibt es HIER , HIER und HIER.